It’s not too hard to be a locavore if you have the right tools. While I primarily like to share what I cook locally, I’m also a huge fan of eating out and discovering new products. Here for your easy reading pleasure is a guide to all my local favorites. I’ve categorized things into local food, restaurants and drinks, highlighting the best of the best in Brooklyn. AND since local is anywhere you are at a given moment, enjoy some of my favorite discoveries while visiting family in New Jersey or other vacation destinations. Farms, honey, salsas, cheeses, pickles, bakeries. The sky’s the limit. There’s a lot more that’s made and grows in Brooklyn than just a tree. And while maybe not grown in Brooklyn, the New York Greenmarket network brings a lot of produce, baked goods and more from upstate, NJ, PA and sometimes a bit further. Greenmarket finds, odes to favorite fruits and veggies–whatever fresh produce I come across I want to share. And now that I’m a member of the Park Slope CSA and started getting into foraging, I’m sure there will be plenty of share. And hopefully I’ll even be able to provide some helpful tips, like how to deal with those curious fava beans. I love eating out almost as much as I love cooking! Check out my favorite local restaurants in and around Brooklyn. Yes, sometimes even the most loyal Brooklynite might venture to that dangerous land of Manhattan. If you don’t see one of your favorite restaurant spots, let me know! Any excuse to try a new restaurant! New York makes some fantastic wines, beer, spirits, sodas and more. I love trying new drinks, speaking with the makers and knowing that it all came from my very own state. Whether it’s a Long Island Cabernet Franc I can’t get enough of or a pub around the corner that has an awesome selection of craft beer, if I love it, you’ll know. Everyone needs to get away sometimes, even Brooklyn Locavore. Traveling is sometimes even more of an excuse to explore the local scene. Whether it’s a weekend getaway to Vermont or a leisurely week of hiking in Maine, travel (maybe slightly above food) is something I live for. Check out the restaurants, foods and drinks I’ve found along the way. Of course, if you want to get really specific in your search, click the magnifying glass on the top left over every page or select a tag on the right sidebar. 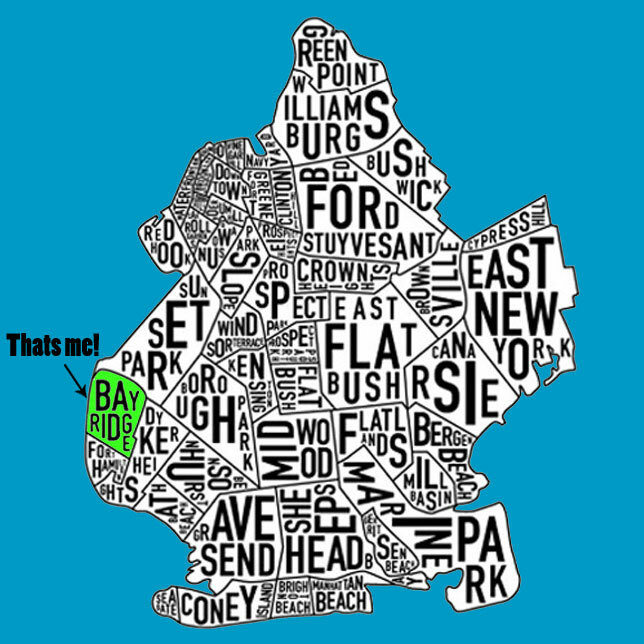 Hey Bklynlocavore! I’ve been a hunter my whole life and exclusively cooking with wild game for the last 10 years. I teach a class to locavores who want to learn to hunt their own food just over the river in Jersey City. The next one is on May 19th at 6PM and I’d love for you to come check it out, and would gladly offer your readers a discount code for $5 off the $15 registration cost. Write me back and let me know if you’d like to come! You can find more info on my website learntohuntnyc.com.